Dumpster rental in Moline, Il or the Quad Cities area doesn’t have to be difficult when you contact a local waste management company. There are several local waste management companies in the Quad Cities area ranging in size from small mom-n-pops to nationwide waste haulers. But be careful, not every garbage company you’ll see advertising on the internet is local. Some of the firms on the net don’t even own a truck, others advertise nationwide std don’t really have a presence in the Quad Cities area and might not be interested in delivering a dumpster to Moline. What will you be tossing into your rented dumpster in Moline? This will be one of the first questions asked because it effects the size of dumpster the garbage company will advise you to order. Dense materials like concrete, brick, or dirt can overload a large container and make it illegal for a truck to transport it down the highway. Conversely, bulky items like couches, chairs, wooden pallets might be most economically disposed of in a large 30 yard roll off. What city do you want to bin delivered to? Most companies charge less for locations which require less traveling for their trucks and drivers and a bit more for more distant locations. The good news is that Moline is fairly close to our operations and the local landfill so we are competitive with our pricing to the home of the Moline Maroons, John Deere Company, I74 Bridge, Mississippi River, etc. When will you be needing your waste bin? You might want the bin a day prior to starting your project to avoid double handling of your waste. We can usually promise delivery on a particular day, but we don’t usually promise a particular delivery time as we don’t know how busy our garbage collection trucks will be. And don’t forget to call us and let us know when you’re finished filling your dumpster. Unless previously agreed, we don’t usually remove your bin until you call us as we don’t know if you’re finished or not. Commercial waste collection provided by the private sector for Moline Business like South Park Mall, Tax Slayer Center, local Moline hotels, restaurants, office complexes, Rock Island Arsenal, Moline High School, involve hydraulically powered container dumping systems mounted on garbage trucks. The commercial small container systems usually empty bins at the customer’s site, compact the trash in the truck, and transport the waste off site for final disposal at an area landfill. The containers are typically emptied from on to six times per week on an agreed pre determined schedule between the waste generator and garbage company. There are several local companies who compete for this business and some nationwide waste haulers who act as brokers in the area but don’t currently run routes. Some of America’s largest waste companies are Republic Services, Waste Management, Progressive Waste, Oakleaf Waste Management, Waste Connections, etc. And then there are the smaller local companies like Landrum Disposal LLC, Consumer Waste, Jetter Hauling, Rush Roll Off, Jerry’s Disposal, and a whole bunch of others. Landfill operations in the area involve two privately operated landfill sites in East Moline and Milan. And a third landfill, which is operated by the Scott Area Landfill, in Buffalo, Iowa. These landfills are under the jurisdiction of the Illinois Environmental Protection Agency and the Iowa Department of Natural Resources. Junk removal in Moline Illinois is completed by the City of Moline or a contractor working on behalf of the City for the residents of Moline. The City bulky waste collection requires junk be placed on the curb prior to the junk collection crews arriving for waste removal. Private junk collection companies also provide appliance recycling, hot tub removal, mattress disposal, and remove other junk items for a fee. The private companies, both local and out-of-town 1800 junk business, are typically more flexible about schedules and location of junk pick up in Moline. Quad Cities Landfills- Where Does Your Garbage Go? There is currently no shortage of waste haulers or landfill airspace in the Quad Cities area. Rock Island County alone has two privately owned sanitary landfills with many years of projected life remaining. And on the other side of the Mississippi, Scott County, Iowa has the Scott Area Landfill, also with years of life remaining at current volumes. Outside the Quad City area, but not too far away there are landfills in Atkinson, Illinois, Clinton, Iowa, Muscatine, Iowa and even a waste transfer station in Muscatine. To the north, a waste transfer station in Jackson County, Iowa and a Landfill in Dubuque, Iowa. Recycling in the Quad City area is alive and well, being done by both private and public sectors. The Scott County Recycling Center, located at 5640 Carey Avenue Davenport, Iowa is a shining example of an automated recycling center. This state-of-the-art material processing center is used in conjunction with the All-In curbside recycling center which is enjoyed by most of Scott County’s residents. Plastics, glass, metal, paper, etc are all collected together by automated recycling collection vehicles and separated/recycled by a fully automated recycling center. Of course the area has a plethora of metal recyclers, some of which have been around service the area’s industry for decades. Some of the private waste collectors also have recycling capabilities for both the volumes of materials collected by their routes and materials collected by others. And the garbage collection is done by both private waste management companies and the local municipalities. As a general rule, commercial waste collection in Moline, Davenport, Rock Island, and Bettendorf is serviced by the private waste collectors. While residential garbage collection is often collected by municipalities in the densely populated areas with scattered rural routes being collected by private garbage companies under subscription arrangements with homeowners. 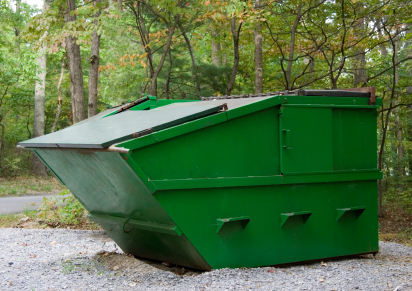 Dumpster rental in the Quad Cities area is provided by the private sector only. Junk removal in Moline, Illinois and other cities provided by private companies with the municipalities often providing residential dwellings with bulky waste collection at the curbside. 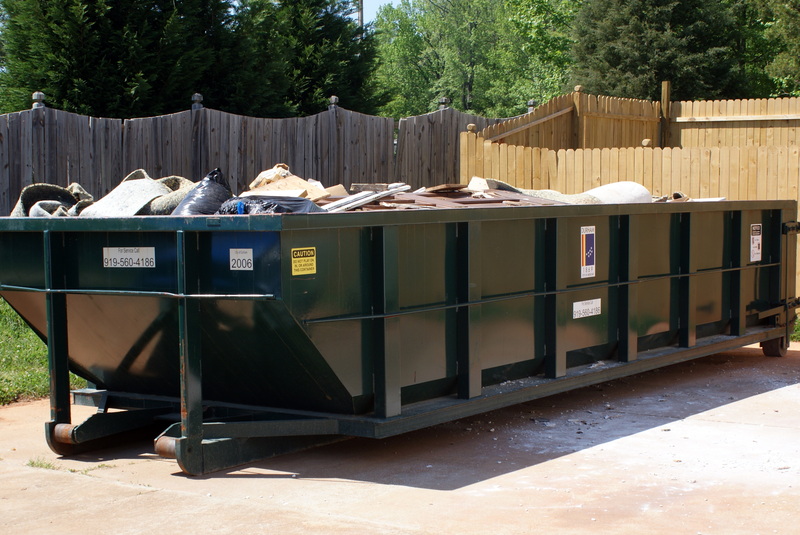 Dumpster rental in the Quad Cities area is simple when you contact a local waste management company in Bettendorf, Davenport, Moline, or Rock Island. The Quad Cities is the home of John Deere, Genesis Hospital, I-74 Bridge, St Ambrose University, Moline High School Maroons, Bettendorf Bulldogs, etc. This area has a few local waste management companies who perform commercial waste collection fo the areas industry and business. There are two private landfills on the Illinois side the Mississippi River and one landfill on the Iowa side operated by the Scott Area Landfill. When it comes to residential waste collection, both the private sector and the local municipalities provide weekly curbside collection of residential waste. Some weekly garbage collection is provided by the city trucks, some by private waste collectors under municipal contract, and some subscription garbage collection is provided for rural residents. So Moline, Illinois residents and business have a few junk collection services to choose from for their hot tub removal, mattress disposal, metal recycling, and furniture removal. The residents can call a 1800 junk collection company which are usually located out of town or they can call a local junk collection company and possibly save a bundle of money. Moline, Illinois waste management services range from simple junk collection to industrial waste removal for local companies like John Deere, or the Tax Slayer Center, formerly The Mark or I Wireless Center. Big or small projects? We have the right size dumpster rental for your Moline home or business. From concrete recycling to metal recycling to home renovations, we have from 10 to 30 cubic yard sizes to accommodate your project’s needs. You might want to reserve our waste bins a few days in advance of beginning your projects to ensure the right size dumpster arrives on time fro your waste generation. We look for ward to hearing from you! So these are some, but not all, of the local waste services firms that can be contacted to provide reliable garbage collection or waste disposal services in the area. Calling other firms found on the internet can be risky and customers should always inquire about the location, operations, years in business, etc before ordering waste services from any garbage collection company.